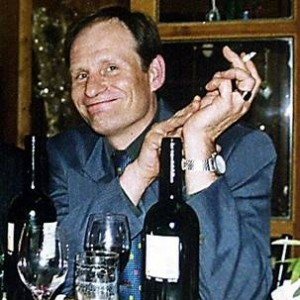 This entry was posted on June 14, 2011 at 8:44 am and is filed under Movies, Serial Killers with tags 60 minutes, armin, Armin Meiwes, ate, bernd, Bernd Jürgen Brandes, brandes, cannibal, cannibalism, eat, flesh, freezer, german, germany, grimm love, human, meiwes, murder, Rohtenburg. You can follow any responses to this entry through the RSS 2.0 feed. You can leave a response, or trackback from your own site. This is very close to the assisted suicide issue, but definitely with a twist of it’s own! I’m going to say off the bat that no, Meiwes should not be punished. Ok, so he killed a guy, but the guy was obviously willing and mental enough to go through it. Whose to say that Brandes wouldn’t have found another way to kill himself if that had truly been his goal? It actually seemed more humane than hunting, where the animals have no say. And no, I’m not against hunting (half my family hunts), just as a comparison lol. Still, Meiwes is obviously not very well in the head either. The facts remain that he never forced anyone though, so I’d let him off the hook. I somehow doubt it’ll be that simple. yes i agree! he should not get in trouble for “murder” or any related form of killing. his “victim” was a willing participant who went out of his way to be involved in this. both parties understood what they were doing and both committed to the act without any coercion. I think more of concern here is the fact that the guy is clearly ‘not very well in the head’ (understatement much?) and poses a significant risk to the public. He was caught because he was in the process of seeking out new victims. Also, surely the families of the deceased should be considered a little? Fair enough their loved one may well have died anyway – but the whole “tried to eat my own willy, then some other guy carved me up and ate the rest/fed me to his dog” thing MIGHT make the loss a little harder to bare…. he wasn’t really “caught” and the participant wasn’t really a “victim.” being caught implies he was trying to hide it (he openly expressed his intention on the web) and the person he ate allowed him to do so willingly. I watched “Grimm Love” late last night and it definitely brought about a lot of questions in my mind. Does one have the right to die on their own terms? If a person consents to such horrors, should the other party be held accountable? Would Meiwes pose a danger if allowed to continue to live freely amongst the rest of society? Firstly, I’m in agreement with Leikashadow. This is definitely an aspect of the assisted suicide debate. Usually my stance is that it shouldn’t even be a debate (Kevorkian imo is a great and brave man). Personal choice should always be the first and foremost consideration in any society. However, at what point does mental illness and level of danger become a factor? My answer to that would be, when all evidence points to the fact that they have little to no control over their fixation and would definitely repeat their behavior. What are the chances that others would have offered themselves up as the main course? In my opinion, Meiwes would have never stopped needing to consume human flesh and at some point lack of consent would not have stopped him. Besides, he may have already eaten the only man in existence who would have went through with it. For arguments sake, let’s say that more men were willing to be the steak to Meier’s potatoes. Isn’t it our responsibility to protect those who are clearly mentally ill from those who might take advantage of them? We don’t even argue about whether children should be protected from pedophiles yet if a man is willing to be eaten, more power to him? Isn’t it common practice to shoot a dog who has a taste for human blood? Just saying.